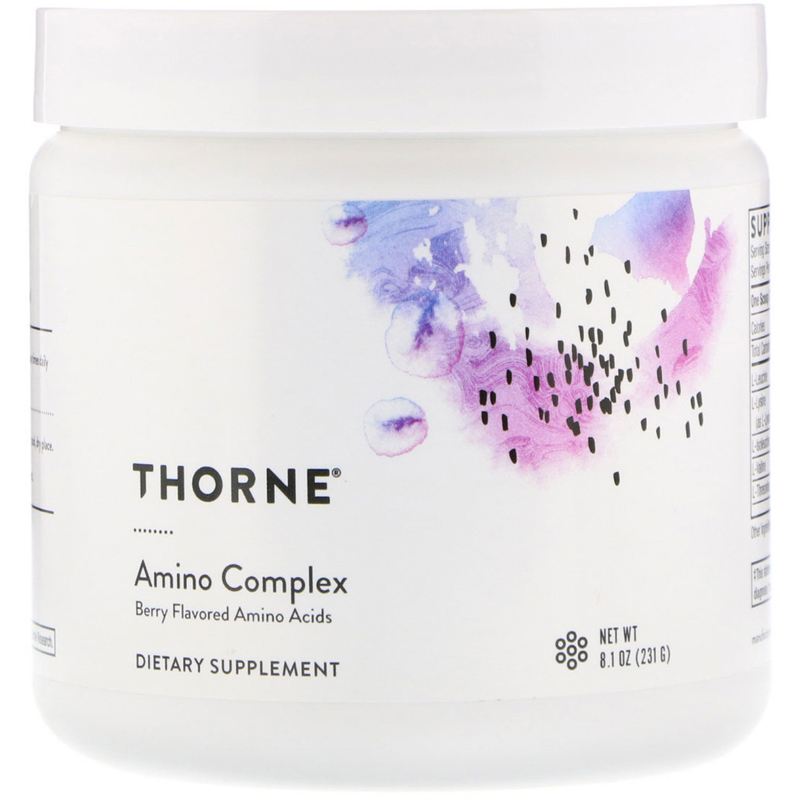 The comprehensive blend of essential amino acids in Amino Complex is high in branched-chain amino acids and has been validated through numerous clinical trials to promote lean muscle mass and muscle strength. Amino acid supplementation has been shown to decrease fat synthesis, improve redox status, and promote energy production via activation of NRF-2 and PGC-1alpha. 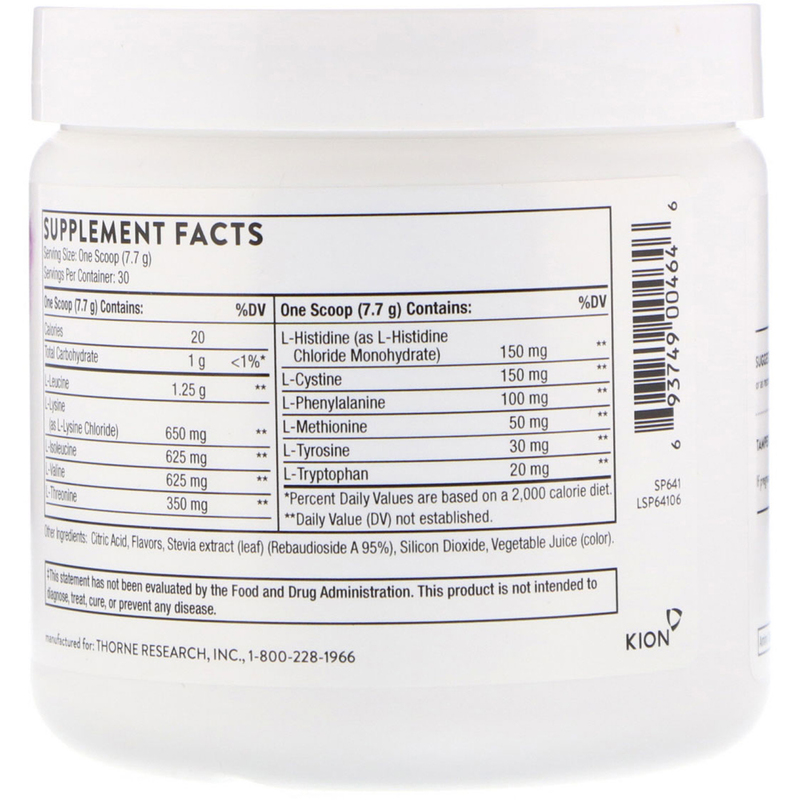 The active ingredient formulation in Amino Complex has more than 25 years of scientific and clinical research. Amino Complex is a berry-flavored, lightly-sweetened formula without artificial flavors or sweeteners that mixes easily in warm or cold liquids. Mix 1 scoop with at least 6 ounces of water one to two times daily or as recommended by your health-care practitioner. Citric acid, flavors, stevia extract (leaf) (rebaudioside A 95%), silicon dioxide, vegetable juice (color).